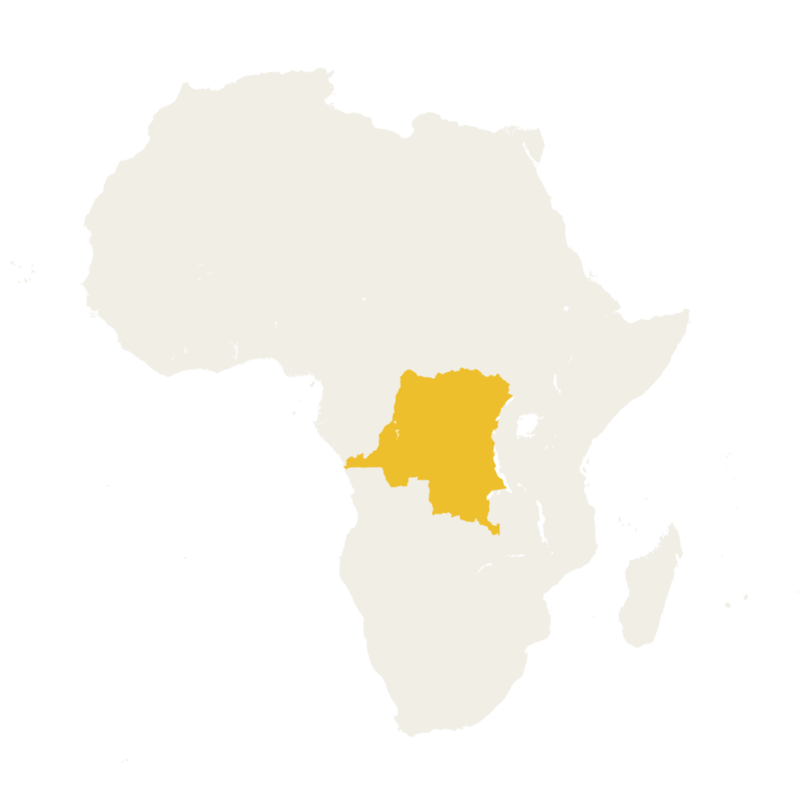 The Congo Basin is home to the second largest rainforest in the world. About 60% of this forest lies in the Democratic Republic of the Congo which is the second largest tropical forested country in the world and has the greatest extent of tropical rainforests in Africa, covering more than 100 million hectares. Forest cover in the Democratic Republic of the Congo stores 7% of the world’s forest carbon – making it one of the largest forest carbon stocks in the world. 40 million people in the Democratic Republic of the Congo rely on the forest for food and fuel. In the Congo Basin, conflict has discouraged the kind of investment in agriculture and infrastructure seen in the Amazon Basin. Because of this, deforestation has remained relatively low. With increased stability however, the forest faces growing threats from infrastructure and development. In 2017, the Democratic Republic of the Congo saw more forest loss than any other country outside of Brazil — some 3.6 million acres, up 6 percent from the previous year.